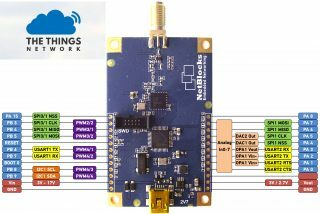 This article describes how to connect the XRange LoRa module (sx1272) to The Things network LoRa Server. 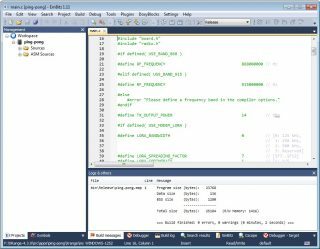 Our LoRa ClassA-USB demo application provides a CLI (command line interface) through a Virtual Serial Port. The CLI helps to configure and save.. 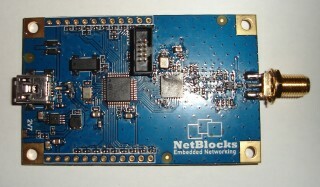 In LoRaMac version 3.4.1 provided by NetBlocks it is possible to build the firmware in Linux with GCC ARM toolchain and load it in XRange with ST-Link. Install GCC ARM toolchain sudo apt-get install gcc-arm-none-eabi Install st-link tools sudo..
Download the XRange source files from GitHub. Extract the archive in Examples there are subdirectories with the project files for different IDEs. Open the project file for your preferred IDE (Example with EmBlocks). 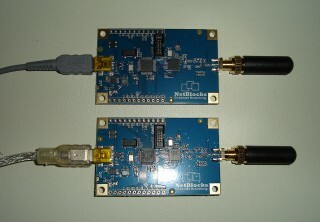 The project file is configured to work with the ST-link/V2, press F8 or from menu Start/stop Debug Session to upload the firmware to the board. 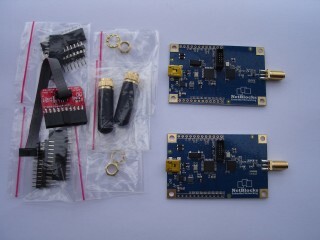 The XRange SX1272 LoRa Starter Kit is preloaded with the PingPong demo. To test the the kit make the wiring from the diagram below. XRange connections – Schematic The PingPong demo blinks the red LED when transmit RF data (ping) and blinks the green LED when receives the response (pong).